The best type of invitation is a personal one! MageRewards allows your customers to create and send personal invitations to all their friends and family right from their account. 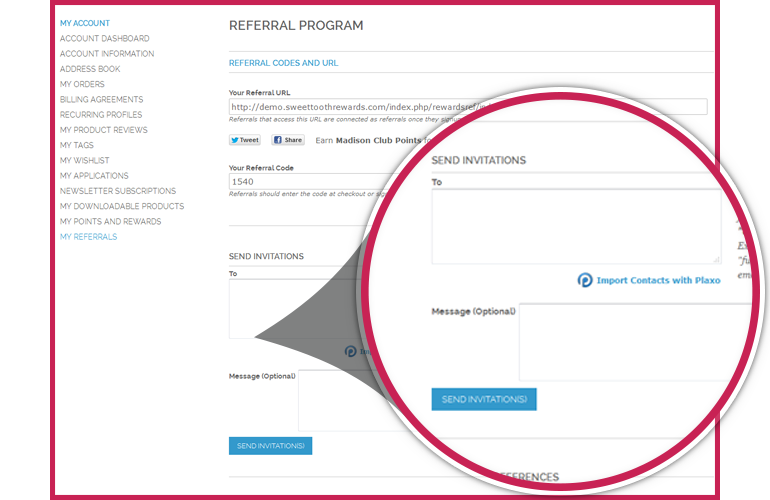 Your customers are also able to import their contacts from PLAXO, this streamlines the invite process making it a quick path to successful Referrals.